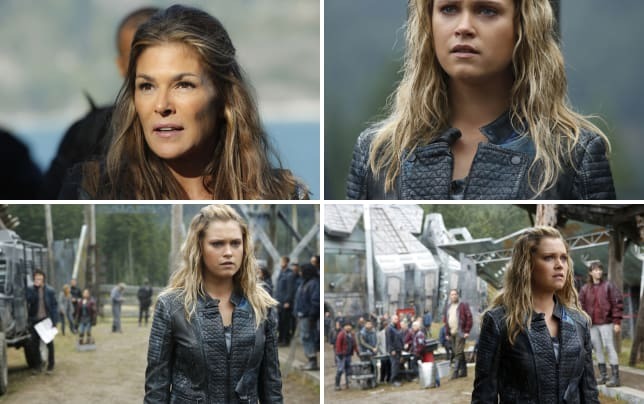 The Grounder-Sky People coaliton has fallen apart once again on The 100 Season 4 Episode 4. But, hey – what else is new? There were plenty of intriguing parallels and plot developments throughout "A Lie Guarded." But what I liked best were the opportunities for several of the cast members to really stretch their acting chops. I'm referring, of course, to Octavia's "death" and Bellamy's reaction to it. "Skairippa" appeared to have been killed during a scuffle with Echo. "Scuffle" might be too light of a word – what actually happened is that Echo and Roan effectively dismantled the coalition after discovering that Skaikru was fortifying Arkadia and that they had Luna (a Nightblood). I predicted in my reviews of The 100 Season 4 Episode 2 and The 100 Season 4 Episode 3 that Echo's decision to investigate Arkadia and Octavia's lie about the chip's destruction would come back to cause issues. I didn't think it would be this soon. The shaky truce between Roan and Clarke's people dissolved almost instantly. Apparently, Roan had enough of giving Clarke and the others the benefit of the doubt. It really didn't seem like he needed much reason to start slaughtering Trikru and Skaikru left and right. 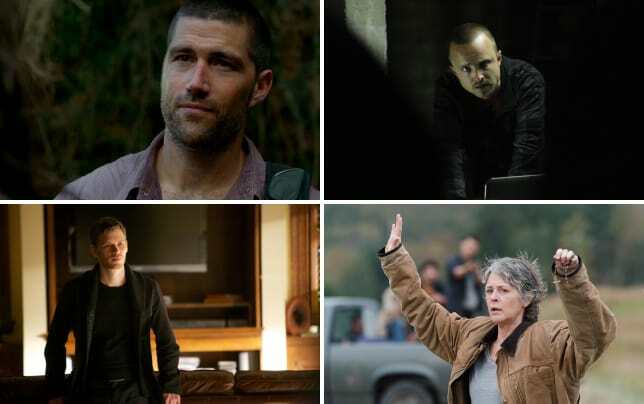 Kane, who was still in Polis as Skaikru ambassador, and Bellamy, who was captured by Echo during a hunting trip, were caught in the metaphorical crossfire. But it was Octavia who got caught in the literal crossfire. Echo: It's over Octavia. Don't fight it. Roan wants you alive. Come quietly. 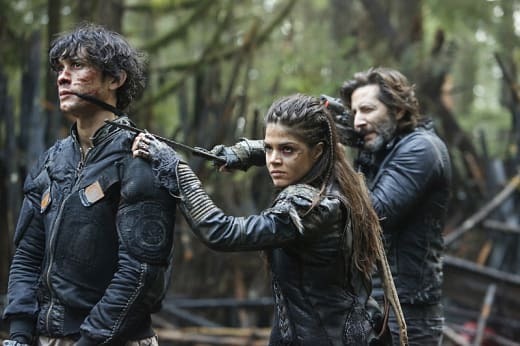 The Blake siblings have had their differences (primarily during Bellamy's questionable allegiance to Pike throughout much of The 100 Season 3). But one thing in all these seasons has never wavered – Bellamy loves his little sister. It's been made clear time and again that she's the most important thing to him, and he would easily sacrifice his own life for hers. That's what made the discovery of her apparent demise (at Echo's reluctant hand) all the more earth-shattering. 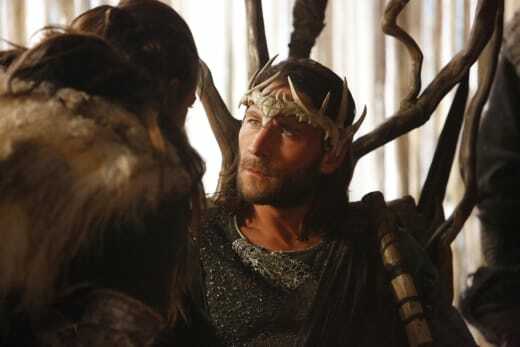 Roan: She wouldn't be taken alive. I am sorry. Echo: It was a good death. Permalink: It was a good death. Echo was right – Octavia's death (and the preceding fight scene) was epic and exciting. The stunts were choreographed well and it was played totally straight, almost convincing me that Octavia had legitimately died. But for Bellamy's purposes, Octavia is dead. He fell to pieces instantly. It was a great performance by Bob Morley, particularly because we've never seen Bellamy like that. It was jarring and heartbreaking, to say the least. I also loved the quick glimpse of Kane's pain at seeing Bellamy in pain. It's been clear for awhile that Kane is something of a father figure to Bellamy, and he was clearly shaken by the news of Octavia's "death" as well. Where we left off with "A Lie Guarded," Roan and his Ice Nation warriors were set to march on Arkadia, intending to take the fortification for their own. But things in Arkadia were pretty messy too. Clarke's list of the 100 Sky People allowed to stay in the radiation-proof Alpha Station was discovered – by Jasper, naturally. Of course, Jasper had a conniption and threatened to reveal the list. Clarke stopped him by baton-shocking him. We were clearly supposed to be alarmed by Clarke's harsh move... but honestly, I thought it was pretty badass how quickly she reacted and took Jasper down. Is that wrong? I don't care. I've said it before and will again: I'm so incredibly tired of Jasper's arc this season. And we're only four episodes in. Yeesh. His "floating Jaha" prank in the opening was funny, but I very quickly grew annoyed at his attitude. In what world is joking about acid rain funny? No world. None. Never. As frustrated as I am with Jasper's obnoxious attitude, it's still necessary to appreciate the fact that it was his actions that pushed Clarke into truthfulness with her people. Technically, it was Monty who (after discovering that Harper wasn't on Clarke's list) gave her a stern talking to and finally revealed the existence of the list and its contents to their people. Kane isn't here. That's just an excuse. You're the one saying you live, and Harper dies. You're the one shock-batonning Jasper then arresting him. You're the one going too far and using the same old justification – "It's all for my people." The conversation between Monty and Clarke was one of "A Lie Guarded's" best moments. It nicely illuminated the delicate line that Clarke tows (and often crosses) in her mission to protect her people at all costs. I have also been loving Jaha's mentorship of a reluctant Clarke, who is seeing the former Chancellor's perspective more and more each passing week. This hour delivered another great moment in that burgeoning relationship. Jaha: The list was pragmatic. But the people need to feel like they have a say in their fate. Clarke: I hope you're right. Permalink: I hope you're right. Jaha's solution was a quick and good one, and it worked to immediately defuse the tense situation at Arkadia and put everyone back to work. He decided that rather than a pragmatic list, they would chose names with a fair and equal-chance lottery. Of course, none of this is going to matter at all once Roan and his warrior roll into the camp to take it over. 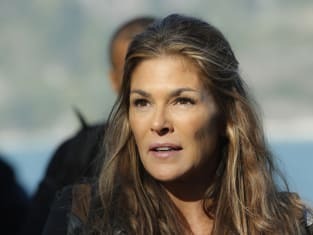 Somehow, I doubt Roan will go for Clarke's list or a lottery. That's his "I'm not interested in fairness" face. Elsewhere, Abby was leading an extremely rag-tag group – including Raven, Jackson, Miller, Murphy, Emori, Nyko, and Luna – on a scientific expedition. She intended to find Becca's old lab on ALIE's island, where the idea was that she would reverse-engineer the nightblood serum from Luna's own blood. I'd have assumed that finding the lab would be a drawn out ordeal, but it was resolved by the hour's final moments. They did find the lab, and Raven and Abby looked like two kids in a candy store standing in it. But before the lab was found, a lot of character development went down. ALIE's island, still beset by drones to guard it, wound up claiming Nyko's life. Luna, who was already distrustful of the Sky People's intention and who had literally lost every other person in her life, had basically had it at that point and attempted to bail. Raven managed to talk Luna out of it, using Adria as proof that good people exist and deserve the opportunity to be saved by Luna's radiation-resistant blood. Luna also assisted Raven in dismantling the drones to save the rest of the group. I liked that Raven and Luna, two characters who hadn't interacted before, had such a meaningful scene, but I felt like it was wrapped up too neatly. It was a little cheesy, for me. Luna, it's not your blood that defines you – it's your heart. Permalink: Luna, it's not your blood that defines you – it's your heart. Like, I legitimately groaned aloud at that line. It was too much. There are also obvious parallels to what the Mountain Men did with the Sky People and grounders in how Skaikru is treating Luna. They're not being nearly as cruel and inhumane about it, but Luna was (rightfully) feeling like a commodity nonetheless. I don't fully understand why Emori and Murphy agreed to go on this mission, but I'm glad they did. We were treated to several great Murphy moments. The first was when he helped Emori over the line she'd previously been unable to cross. The second was when he saved Raven during the drone attack by helping her escape, helping to heal the gigantic "You shot me" rift between them. Careful, Reyes. Emori's already got dibs on me. Permalink: Careful, Reyes. Emori's already got dibs on me. What can I say? Maybe I'm 'shipping them a little, though I do also love Emori/Murphy. The score is always excellent, but I particularly loved this installment's musical stylings by Tree Adams. The music during the drone attack was very exciting, and I also enjoyed the techno-ish music when the group finally got to Becca's lab. And, of course, the piece that played over the final scene (Octavia's alive!) was great – very Westworld-esque. Emori said to Murphy, "There are worse things on this island than drones." SUCH AS?!! I appreciated how moments of light-heartedness were woven in with this incredibly dark hour. Jasper's "floating Jaha" prank in the opening was funny, but the silly little foam gag he and Monty ran on Clarke (and her exasperated "Really?!") made me laugh so much. A minor but important point: Luna's hair is awesome. Helios (Octavia's life-saving wonder horse) is obviously this week's MVP. I am SO SAD that Nyko is dead. I really liked that guy. And poor Luna. At least he went out honorably, using his body to literally shield Luna from the drone's bullets. Most of the characters you'd expect (who are close to Clarke) were on her list, like Bellamy, Raven, Jackson, Abby, Octavia, and Jaha. We know for sure that Monty, Harper (due to a possibly genetic illness her father had), and Jasper were not on the list. I don't think we heard anything one way or the other about Kane, Miller, or Murphy, but I could be wrong. What did you think of "A Lie Guarded"? 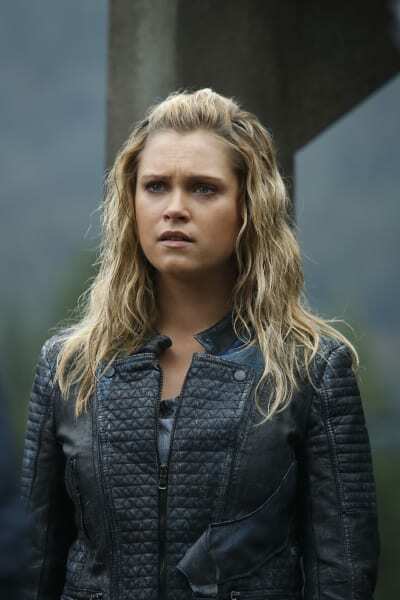 Leave me a comment below with your thoughts, and remember that you can watch The 100 online here at TV Fanatic any time! What's with the "We're all going to die" face? Permalink: What's with the "We're all going to die" face?